"" Writer's Wanderings: Going Out Of The Country? Need A Visa? There are several trips for us this year that will be out of the country. One is to Grand Cayman where we make a yearly trek to go scuba diving with our grandson. The island country is a British Overseas Territory and since no visa is required for a normal tourist visit to the United Kingdom, none is required for Grand Cayman. Another trip is to Costa RIca which requires no visa for a tourist stay of up to 90 days. Cuba, however does require a visa and since our cruise ship makes a few port of calls there, we will need to have a visa. Thankfully the cruise company will take care of that so there is one less item on the to-do list. It is always a good idea to check to be sure that the country you are going to visit does not require a visa. Sometimes they can take a while to get approved. Most of the time that we have needed one we have gone through a company that does the work for us for a fee. I can remember one time where we just got off an airplane and had to purchase a visa right at the airport even though we were just passing through the airport to board another plane. Neither of us can remember what country that was but it was somewhere in South America. 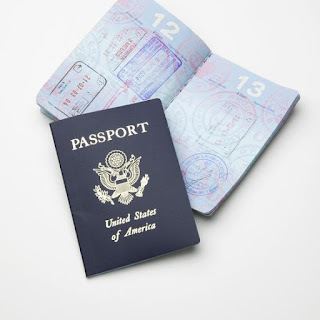 On the internet you can find which countries require visas on sites such as CIBTvisas or PASSPORTINFO. They will have a list of countries that require a visa for US citizens or you can search for your destination. If you don't feel comfortable going through an online site for your visa, contact your travel agent or try asking at a AAA office travel desk. The important thing is not to show up at the airport and get turned away from your travel plans because you haven't purchased your visa in advance.